Besides making computers and other gadgets, IBM is known for producing training videos and short educational films. 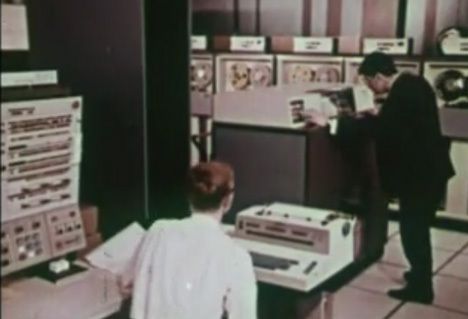 In 1965, before the dawn of the personal computer era, they produced the gem below: “Man & Computer.” It is a 22-minute-long dive into the functions of a computer, augmented by some groovy animations and top-notch acting. The content of the video is actually very interesting, as it underlines just how far computing has come in 45 years. Curiously, the video focuses on reassuring the viewer that computers will never replace humans – only enhance our abilities. It seems that even before computers took over the world, people were frightened that they would one day lose their jobs to the machines.